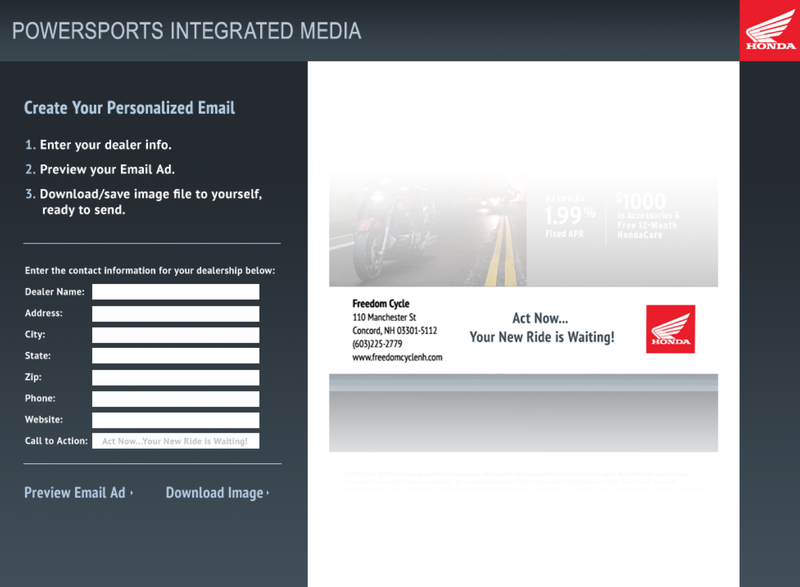 Honda Powersports came to us to develop an internal email marketing tool, that they could empower their dealerships with, but not compromise brand image and messaging. We developed a secure portal for dealerships to customize promotional offerings while being able to download predetermined graphics and imagery provided by Honda Powersports corporate. The tool we built will allow Honda Powersports the scalability to expand and use for future enterprise efforts.